Request from the industrial and portside equipment manufacturer DEGAIE. They would like to develop a profile for equipping water sports centre jetties with dock bumpers to protect against boats. These dock fenders are clipped onto the jetty structure. Estimated lengths of 3 metres required, in a range of colours. To help boats to glide alongside the jetty, the choice has been made to extrude this profile with HDPE. 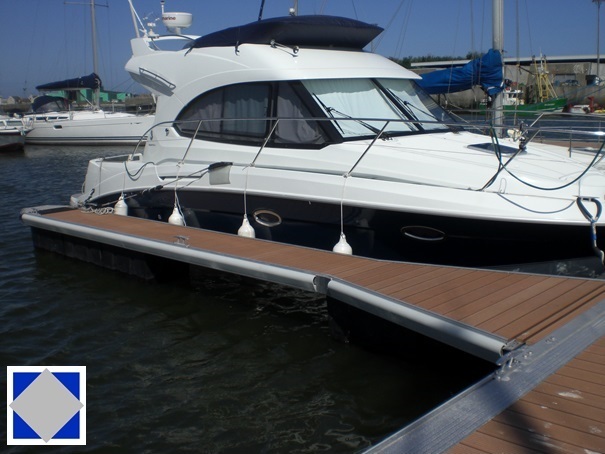 This is a UV-resistant material which also ensures good shock absorption between the boats and the jetty. After a presentation of the range of colours available, light grey is settled on. The profile will eventually be extruded in beige and brown too as requested by the customer. 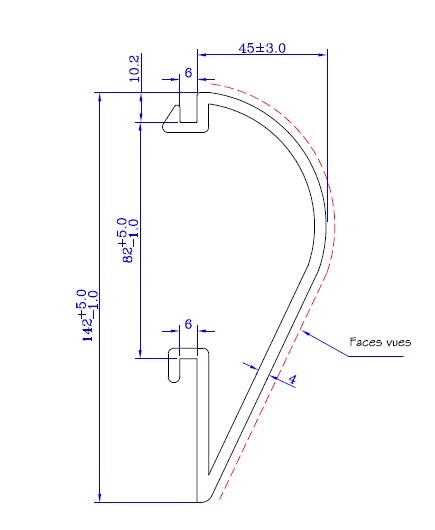 The customer’s specifications (excerpt of the approved drawing below) have been drawn up with account taken both of the extrusion restrictions particularly associated with the material used and of the expectations regarding the clipping of the profile on to the aluminium structure. Once the product datasheet and specifications have been approved and the order received, the tooling is developed to progress on to the manufacturing stage. After several series of tests, samples are sent to the customer for approval. Several production runs have been carried out since the 1st production run. These dock fenders have already been installed at several water sports centres across France. 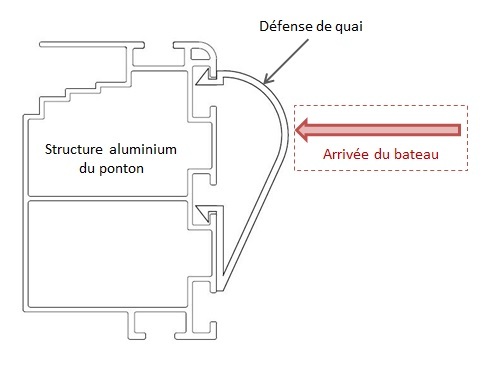 Additional testing has also been set up to strengthen the hold of the profile shape over time – the aim being for the fenders to clip more easily on to the aluminium structure.